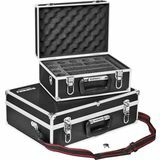 Orion Deluxe Accessory Cases are built to protect, store and organize your valuable telescope accessories. 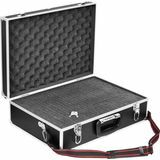 Each case features a textured, ABS-clad exterior with reinforced edging, die-cut foam interior, two locking metal latches, and shoulder strap. 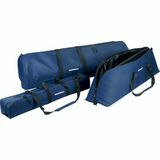 The Orion padded cases are the perfect accessory for any telescope owner. These rugged cases are made from heavy, water-resistant material with padding sewn into the inner lining to carry and store you telescope. Ever notice that lens caps seem to disappear without a trace? Annoying to say the least, but now you can order as many replacements as you need! Available in a variety of sizes for binoculars, telescope eyepieces, and finder scopes. 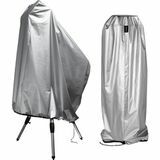 Scope Cloaks protect your telescope, shielding it from dirt, moisture and sunlight. During the day when the telescope can become hot, Scope Cloaks keep the tube cooler. 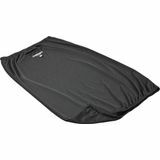 Made from reflective, tear-resistant fabric with waterproof lining. This extra foam allows you to keep your case but redo the inside for new accessories or a better layout. Do you want a case that you can customize to fit all your different telescope accessories? 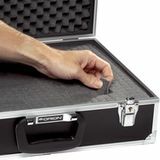 The Large Orion Pluck-Foam Accessory Case features a cubed foam insert for easy customization and is very durable to protect everything you put in it. 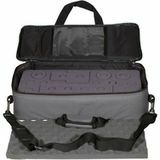 This Orion Soft Case is a convenient way to carry and store your Orion StarBlast 6 and StarBlast 6i IntelliScope. The quality materials, design, and construction mean the case won't tear, rip, or mildew. This custom designed Orion light shroud blocks stray light to improve image contrast on the SkyQuest XX12 Truss Dobsonian telescope. 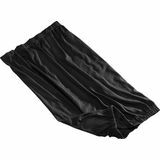 It is made of opaque black stretch nylon that fits like a glove and fastens with elastic on both ends. This custom designed Orion light shroud blocks stray light to improve image contrast on the SkyQuest XX14 Truss Dobsonian telescope. 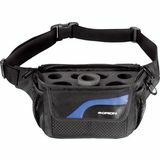 It is made of opaque black stretch nylon that fits like a glove and fastens with elastic on both ends. This custom designed Orion light shroud blocks stray light to improve image contrast on the SkyQuest XX16 Truss Dobsonian telescope. 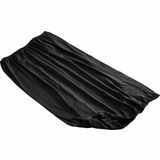 It is made of opaque black stretch nylon that fits like a glove and fastens with elastic on both ends. 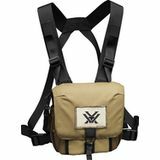 The Vortex GlassPak(tm) binocular harness accommodates a range of full size binoculars, yet keeps them snug and secure. Protect your binoculars from the elements, keep the lenses clean, and stow essential gear close at hand with the Guide BinoPack. 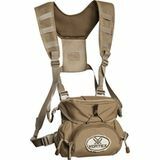 This rugged padded Orion case is made specifically for carrying and protecting your 180mm Mak-Cass Optical Tube. 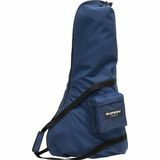 It is made from heavy water-resistant material and has three zippered accessory pockets as well as a convenient shoulder strap. 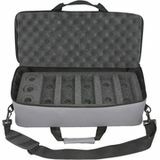 Tele Vue's eyepiece bag has dense foam to protect your eyepieces from shock and holds the case rigid. It will not flex even when loaded. 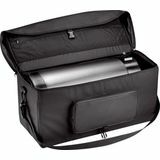 The exterior bag dimensions are 21" L x 9" W x 6" D.
Custom case to store, transport, and protect the Meade Coronado PST telescope. Features die-cut foam insert. 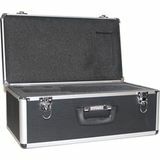 This heavy-duty case enhances the portability of your scope and protects your investment during transport. 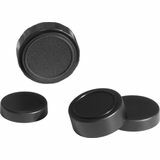 Includes custom cut foam inserts for your telescope, eyepieces and accessories. You paid good money for your telescope and accessories, so you'll want to keep them in "like new" condition indefinitely. 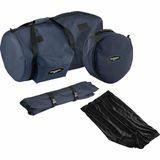 Orion Telescopes' exclusive, fully padded telescope cases provide great protection for your instrument and a convenient way to carry and store it. 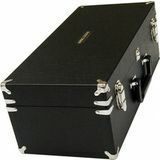 Our durable accessory cases will ensure that your "small stuff" stays safe, clean, and organized. Orion also stocks reflective telescope covers and other cases you don't want to be without!